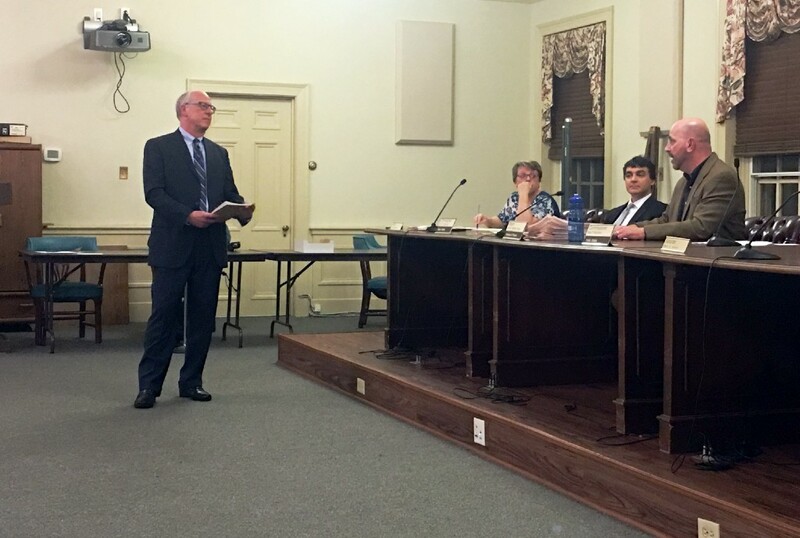 A debate centered around a possible theater at Boxwood Hall took place during last week’s Haddonfield commissioners meeting. Boxwood Hall, a structure built in 1799, is the location where the Boxwood Arts committee would like to place a 365-seat theater and cultural center. The borough purchased the property, which previously housed a real estate company. During the public comment section of last week’s meeting, Kim Custer, a Haddonfield resident who is one of the people looking to keep the site intact, asked about updates planned for the site. Mayor Jeff Kasko said a new roof was completed, but no other renovations were planned. Commissioner John Moscatelli added the borough is looking to re-inspect the property in the future. The first inspection was done to see if there was anything urgent that had to be done. The commissioners insisted no official plans have come forward in regard to the site. They also stated that if someone had placed official plans for a theater, the site would still have to go before the zoning board to be approved. After almost eight minutes of the exchange of questions and answers, Borough Solicitor Mario Iavicoli interrupted the exchange, saying it was all hypothetical discussion. The commissioners, Iavicoli, Custer and Hluchan all agreed that transparency would be necessary throughout the process, but nothing was decided during last week’s meeting. Due to a large turnout by fourth-grade Haddonfield students, the commissioners meeting was moved from the regular meeting room to the upstairs auditorium. The students took turns asking various questions about road work, speed bumps, street light outages, pedestrian issues and other observations. The commissioners took questions and comments for more than 40 minutes, listening to each student’s question.